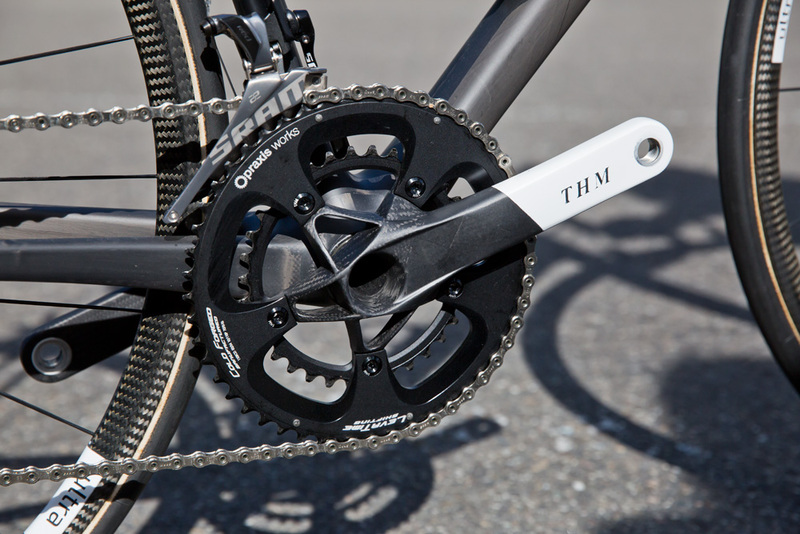 At just 4.4kg, is this the lightest bike in the world? First we had the Trek Emonda SLR, then the Merida Scultura 9000 LTD, but now we have a new bike to take the crown of the world’s lightest bike. 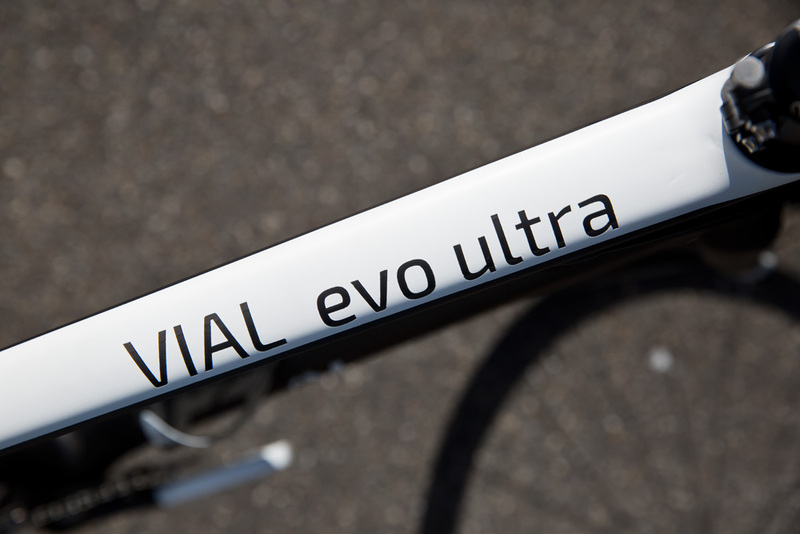 Step forward the AX-Lightness VIAL evo ULTRA. >>> Which climbs faster; aero road bike or lightweight bike? Better known for producing super lightweight wheels and finishing kit for other companies to stick on their showpiece models, AX-Lightness is now producing frames on which to hang its own luxury kit. It won’t surprise you that these frames are incredibly light, with the one you see here coming in at a scant 660g. Fully built up, this means a bike which weighs just 4400g, and costs, wait for it, €15,000. That’s pushing on £11,000 (although the company didn’t yet have a UK price). So what makes this bike so light, and so expensive? Well, the frame is produced not in the Far East but in AX-Lightness’ homeland of Germany. 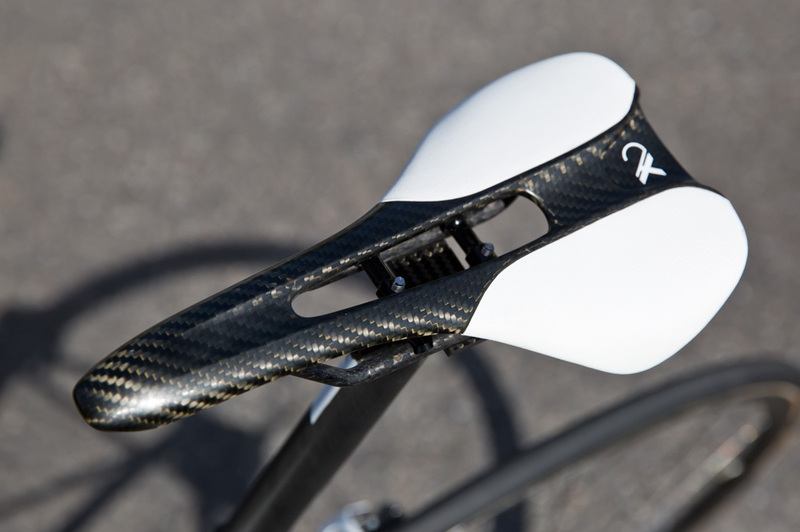 The special carbon fibre is desgined to be low in weight above all else, with less resin used than on most other bikes in order to shed a few grams. >>> How does weight affect your climbing climbing speed? The spec’s not half bad either. Like most super lightweight bikes, the VIAL evo ULTRA comes with SRAM Red 22 groupset, the lightest on the market, although on this bike it has been modified to include Praxis chainrings and THM-Carbones cranks. Most of the rest of the kit is AX-Lightness’ own handiwork. The wheels, probably the company’s speciality, are U24 tubulars, which come in at a pretty staggering 800g for the pair. These also come with Ceramic Speed bearings, which not only help to cut weight, but should also roll pretty nicely too. 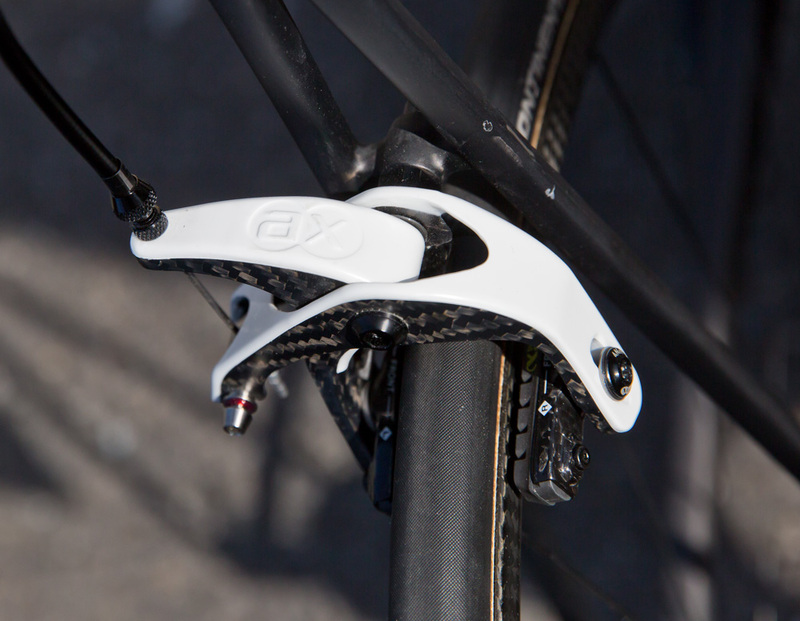 The brakes are also from AX-Lightness, as are the carbon-fibre stem and bars.